2 Pounds Approximately 128 Pieces. 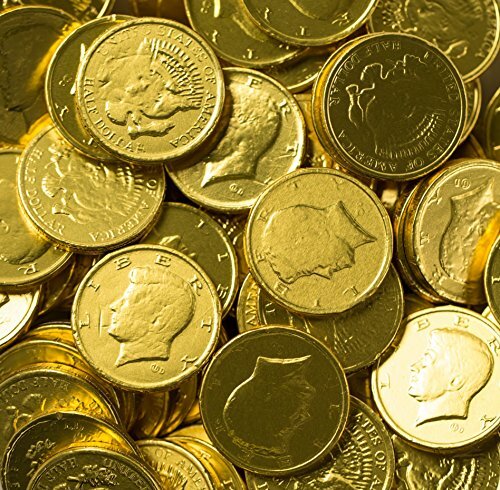 Large Kennedy 1/2 Dollar Gold Foil Covered Milk Chocolate Coins. Heat Sealed in a Heavy Duty Resealable 4.4 mil. Food Grade Pouch for Freshness and Safety!! 100% Satisfaction Guaranteed. Fresh From the Manufacturer. If you have any questions about this product by River Finn Organics, contact us by completing and submitting the form below. If you are looking for a specif part number, please include it with your message.